Howard Schultz and Sheri Kersch Schultz at the 2018 GLSEN Respect Awards. Howard Schultz announced on Twitter and "60 Minutes" that he was considering running for U.S. president in 2020 as a third-party candidate. Howard Schultz, the former Starbucks CEO who confused a lot of people about whether they could use Starbucks bathrooms, announced he is considering running in the 2020 U.S. presidential election. During an interview with "60 Minutes," Schultz said that, if he entered the running, it would be as a "centrist independent." Schultz also made the announcement on Twitter after creating a profile on the social media network that day. As of early Monday afternoon the account only has four tweets. "Not only the fact that this President is not qualified to be the president, but the fact that both parties are consistently not doing what's necessary on behalf of the American people and are engaged every single day in revenge politics," Schultz said in the "60 Minutes" interview, which aired Sunday. 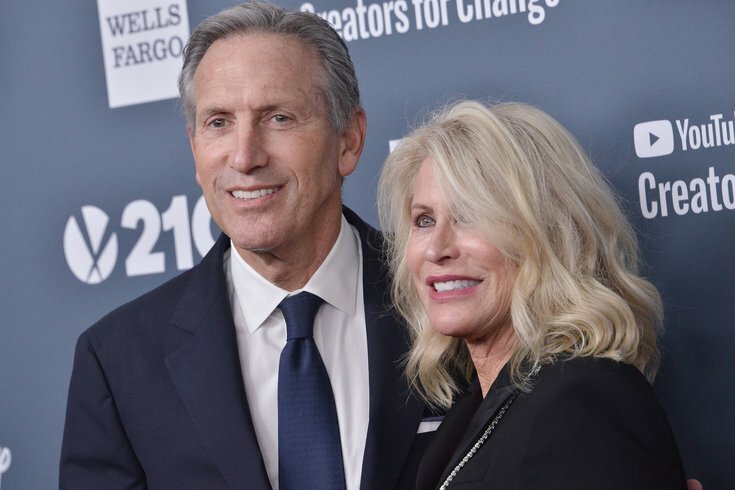 Schultz, a self-described life-long Democrat, was the Starbucks CEO and chairman. He stepped down as CEO first in 2017 and then as the company's chairman in June 2018, a couple months after the controversial arrests of two black men inside the coffee shop at 18th and Spruce streets. Speculation about Shultz's presidential ambitions began shortly after he left Starbucks. Despite Schultz's criticism of President Donald Trump, the idea of Schultz's candidacy is sparking backlash among many Democrats and other Trump critics who believe him running – or the candidacy of any prominent, third-party candidate – could aid Trump in winning re-election. Literally just get up tomorrow morning and match Bill Gates contributions to vaccines and you'll do more for the world than this entire vanity project. Others just had a lot of great coffee-related humor to make in their criticisms. Sir, this is a Peet's. Despite backlash, Schultz said he expected the criticism and was not thwarted by it. "I'm putting myself in a position that I know is going to create hate, anger, disenfranchisement from friends, from Democrats," Schultz told Axios. "I'm not considering this to win the Twitter primary," he continued. "I believe that lifelong Democrats and lifelong Republicans are looking for a home, and they're not spending hours and hours on Twitter." Monday morning, Trump himself also chimed in on the situation via Twitter. If Schultz does indeed run, he joins a increasingly populated field of candidates, including California Sen. Kamala Harris, Hawaii Rep. Tulsi Gabbard, former Maryland Rep. John Delaney, and former secretary of Housing and Urban Development Julián Castro, as well as Sen. Elizabeth Warren and Sen. Kirsten Gillibrand of New York.